Huber was an Austrian painter, draughtsman, printmaker and architect. He was born into a family of artists and probably trained with Hans Huber, who may have been his father or his uncle. In 1977 Patricia Rose suggested that the artist must have travelled around the Upper Rhine area and the north of Italy between 1508 and 1509. Huber worked in his native city and in Ratisbon and Passau where he lived for most of his life and where he opened a workshop in 1515. 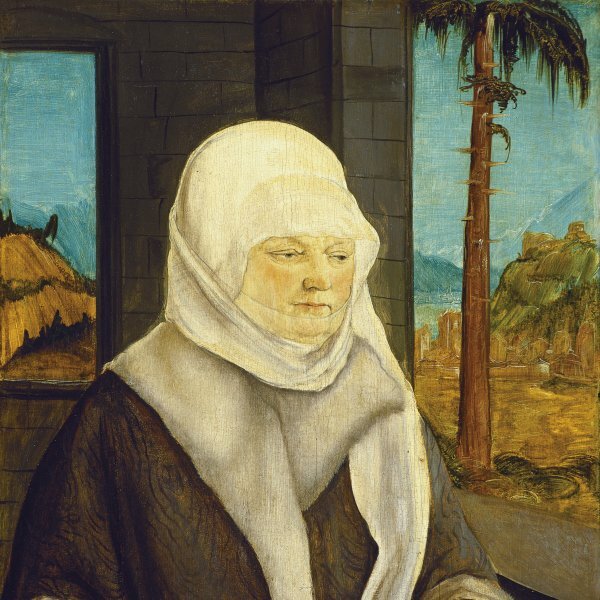 Huber was the most important artist of the Danube School after Albrecht Altdorfer. From 1517 onwards he worked as court painter to Duke Ernest of Bavaria and later, from 1540, held the same post for the Prince- Bishop Wolfgang I von Salm. Huber’s work reveals a careful study of architecture and perspective, indicating the influence of Dürer and the new ideas of Italian Renaissance art and theory, as well as that of other German painters including Altdorfer and Cranach. His approach to landscape and manner of depicting it remained characteristic features of his work throughout his career. In 1521 Huber painted the Altarpiece of Saint Anne for the church in Feldkirch. It comprises eight scenes, two of which are now in the Vorarlberger Landesmuseum in Begrenz. Another masterpiece by the artist is The Allegory of the Cross (Kunsthistorisches Museum, Vienna). In the 1520s Huber began a series of portraits with lightly painted backgrounds and interesting innovations in the characterisation of the sitters, of which the most important is Portrait of Jakob Ziegler von Landau (also Vienna), considered a masterpiece of German portraiture. Also notable within Huber’s oeuvre are his landscape drawings with their rigorous line and interest in nature, which he imbued with a highly expressive character. A good example of this type of work is Christ on the Cross (Fitzwilliam Museum, Cambridge).